ChitrakadiVati cures indigestion, improves appetite and suppresses gas and discomfort. Unbalanced diet, stress and sedentary lifestyle cause digestion-related ailments. ChitrakadiVati stimulates production of digestive enzymes, increases absorption of food and soothes hyperacidity in stomach. It is made from natural extracts and has no side effects. 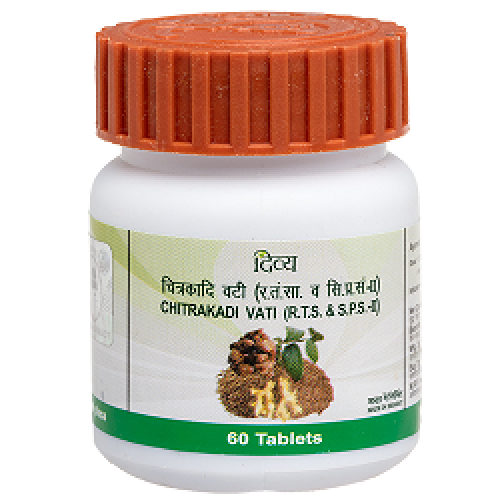 Take ChitrakadiVati everyday to soothe discomfort, fortify your digestive system and regain balance of elements. Feel the completely natural and lasting therapy of Ayurvedic meditation in your everyday life.